We are delighted to announce that, following the success of the first UK and Ireland Tour, Shrek the Musical will return in December 2017. Opening at the Edinburgh Playhouse on 12 December 2017, the production will then tour to Manchester, Sunderland, Birmingham, Aberdeen, Northampton, Stoke and Blackpool, with further venues to be announced, the tour will continue until 2019. Shrek the Musical is based on the story and characters from William Steig’s book Shrek! and the Oscar®-winning DreamWorks Animations feature film. Nigel Harman will return as director, having made his directorial debut on Shrek the Musical’s first UK and Ireland Tour. Join our unlikely hero Shrek and his loyal steed Donkey as they embark on a quest to rescue the beautiful (if slightly temperamental) Princess Fiona from a fire-breathing, love-sick dragon. Add the diminutive Lord Farquaad, a gang of fairytale misfits and a biscuit with attitude, and you’ve got the biggest, brightest musical comedy around! 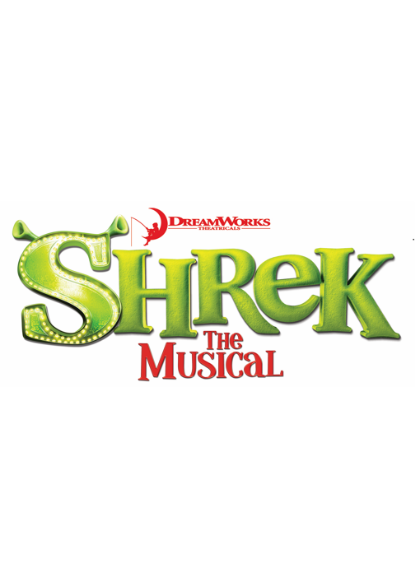 Featuring all new songs as well as cult Shrek anthem ‘I’m a Believer’, Shrek the Musical brings over 100 much-loved fairytale characters, plus a 14 foot dragon, to life in an all-singing, all-dancing extravaganza.